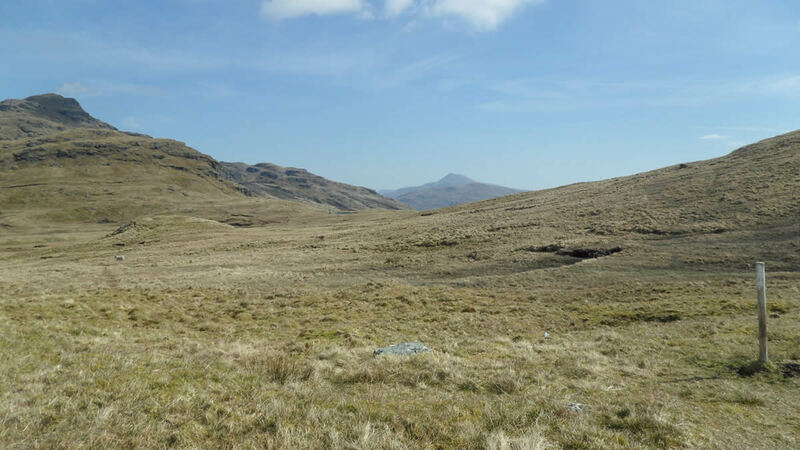 This final section of the Loch Lomond & Cowal Way includes the highest climb of the route. 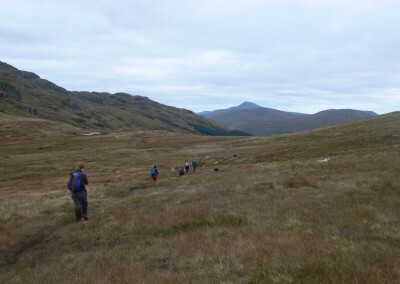 In clear weather, walkers will be rewarded with breathtaking mountain views ahead to the Luss hills and Ben Lomond, with Ben Bheula behind and the Brack to the left. 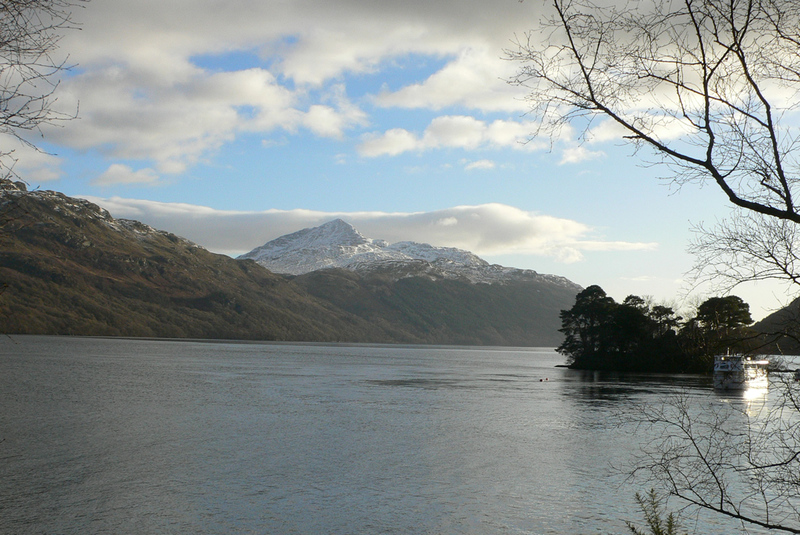 This is followed by scenic walking alongside Loch Long and Loch Lomond. 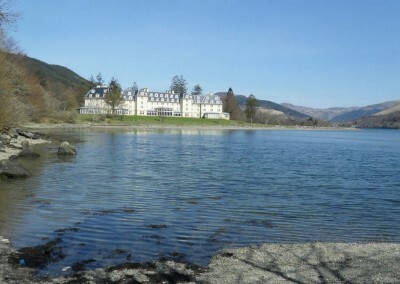 This final stage from Lochgoilhead to Inveruglas can also be broken up by an overnight stay at Arrochar. 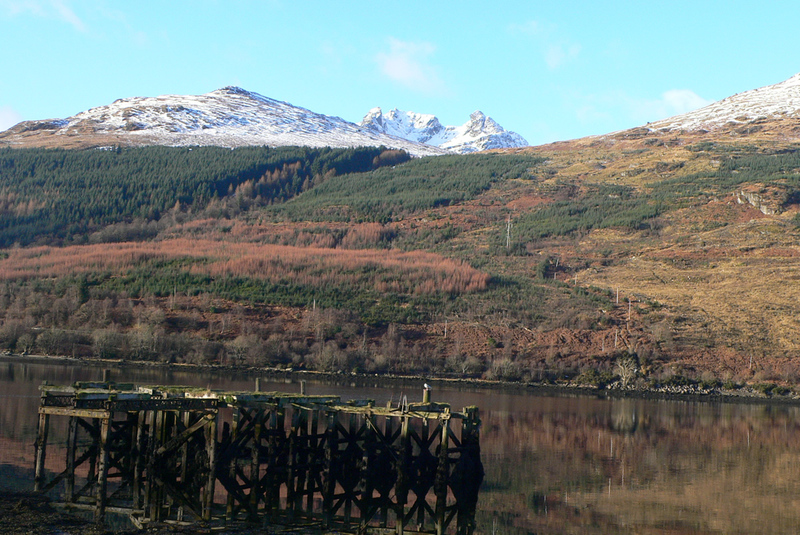 This option is suitable for those seeking an easier alternative, or for those wishing to climb the famous Cobbler before continuing on to Inveruglas. 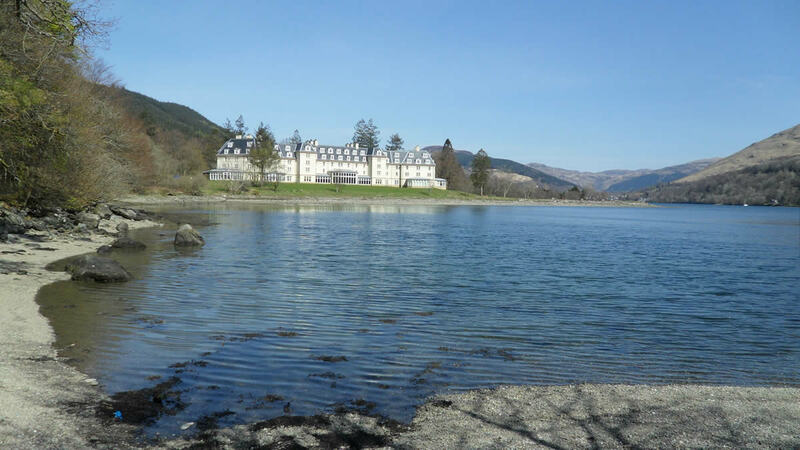 This section begins from the waterfront car park in the centre of Lochgoilhead, and heads east up the road signposted for the public toilets. Continue past the houses to the end of the road, then along the path up through the trees. 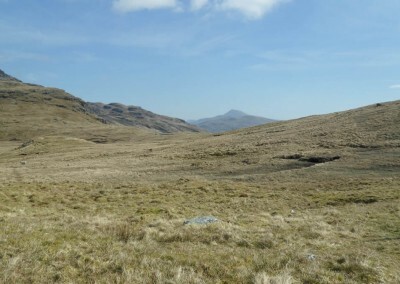 Through the swing gate and continue uphill, then another swing gate, to reach a vehicle track signposted for the Loch Lomond & Cowal Way and ‘Donich Circular 4km. ‘The track bears steadily uphill with the forest to the left before reaching a gate and heading into the trees. 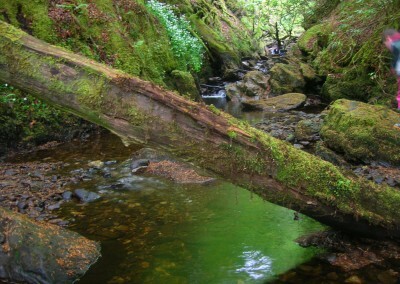 The route heads through the wood and passes some waterfalls before crossing a footbridge. On the far side of the bridge, take the path on the right that climbs steeply uphill. 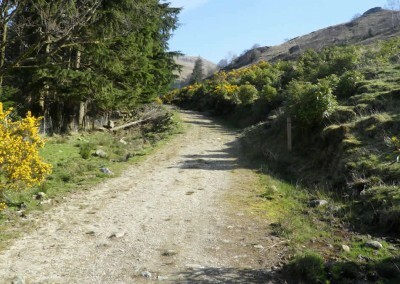 The Loch Lomond & Cowal Way follows this path until it peters out by a sign for Coilessan Hill Walk. Bear right and head uphill through the wide gap in the trees. The path in this section is faint and rough underfoot, so keep the burn to your left and head steadily uphill. Near the top of the rise the Loch Lomond & Cowal Way bears right to reach a swing gate through the fence, with wooden post marking the route. Through the gate the path all but disappears as the route crosses the empty pass between Lochgoilhead and Ardgartan. The recommended route across the hillside is marked by white posts, the first of which is uphill and to the left of the stile. Follow the white posts across the hill to reach a marker post on a cairn by a small lochan ( GR 234 019 ). 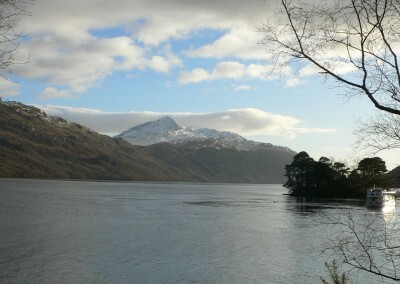 Ahead are the views to the Luss hills and Ben Lomond, with Beinn Bheula behind and the Brack to your left. From here continue downhill towards the trees, and enter the forest through a gate in the fence. If in doubt head for the fence line and continue downhill until you reach the gate. In poor visibility a map and compass may be necessary; from the stile follow 72º (magnetic) for 600m to a marker post raised on a mound, then follow 89º for 550m to reach the cairn, and finally follow 101º for 230m to the gate (these bearings correct in 2009). From the gate follow the track steeply downhill, crossing two small footbridges before coming to a forest road. Turn right to continue down hill, and later bear right again at the fork in the road to cross Coilessan Burn. 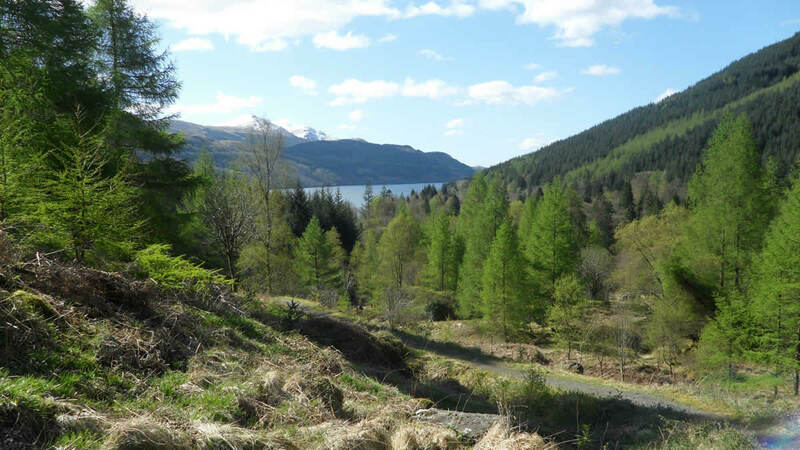 Continue downhill for a further 650m and turn left at the T-junction, which will lead you over bridge and past a forestry barrier to join a quiet tarmac road. 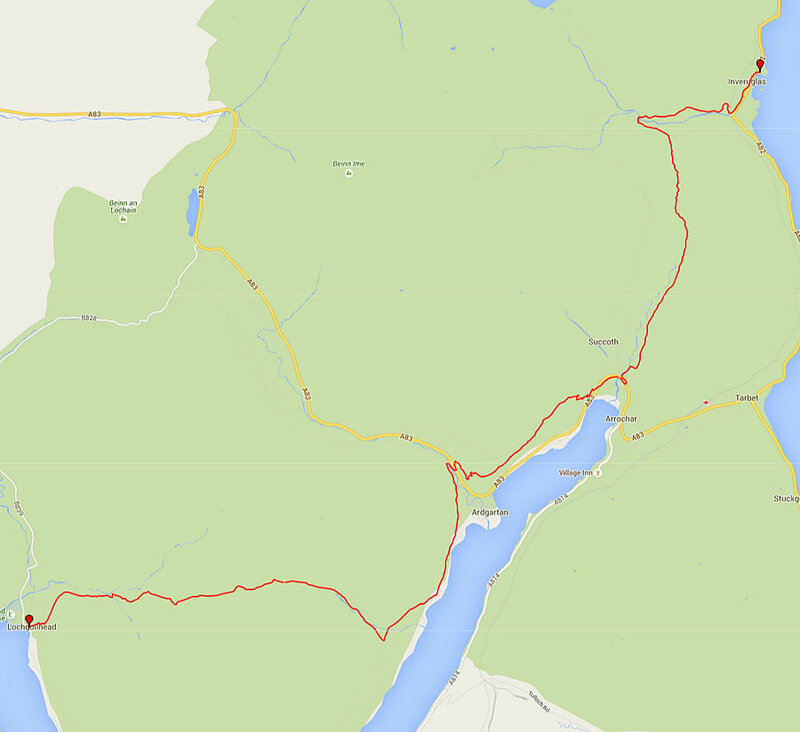 Follow this road for just under 2km and then turn right onto a small path that leads to the shores of Loch Long. Follow this path as it follows alongside the shore, turns right beside a small stream, and then left to meet with a tarmac road. The Loch Lomond & Cowal Way turns left onto this road for a few hundred meters, then right across a wooden bridge. 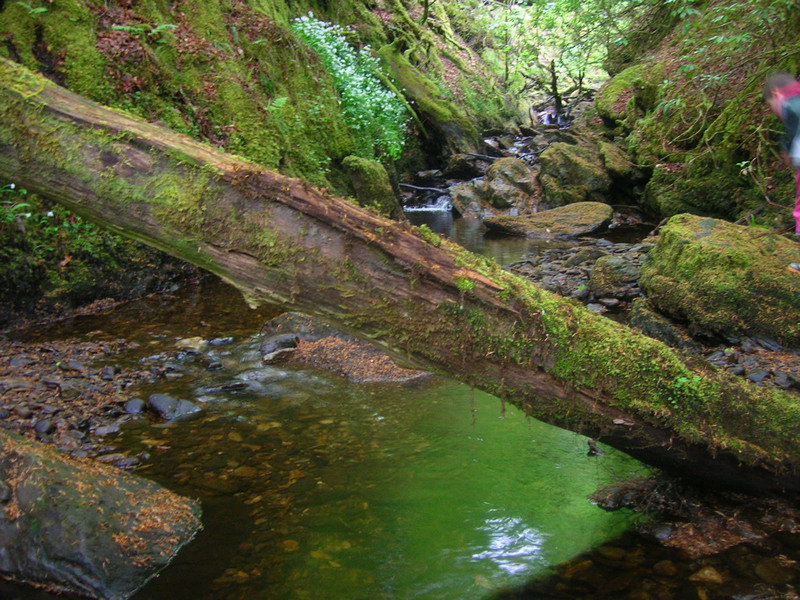 Once over the bridge, the route turns left and follows the banks of the river towards Ardgartan. The visitor centre is now closed, however there are still public toilets, information boards and a carpark here. To continue the Loch Lomond & Cowal Way, turn right up the cycle track before the carpark. 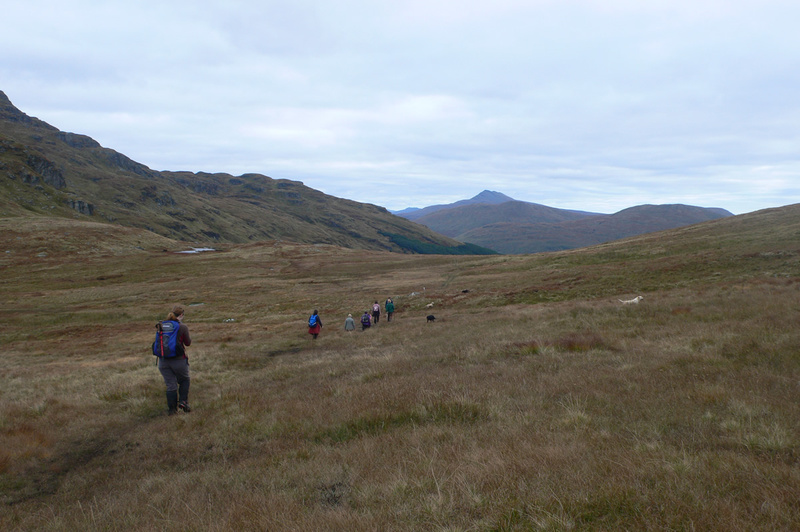 Cross the busy A83 and follow the winding path on the other side, which climbs uphill to meet an old forest road. 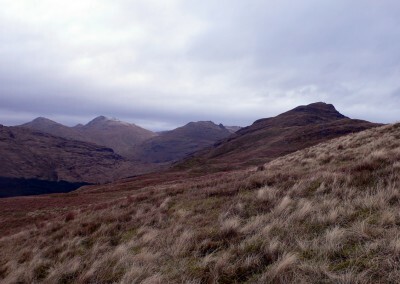 The route follows this road, ignoring the path up to the Cobbler on your left, and then turns right down a smaller path 100m past a radio mast. Follow this zigzagging path downhill to reach the the loch-side carpark at Arrochar. Head right through the carpark and follow the footpath round the shore, and across the footbridge to reach another carpark. 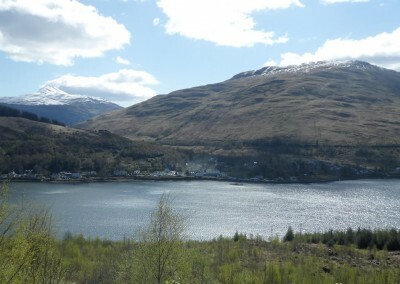 For the facilities at Arrochar, turn right along the pavement, or to continue the way turn left across the main road and take the forest road between the houses, near the road bridge over Loin Water. 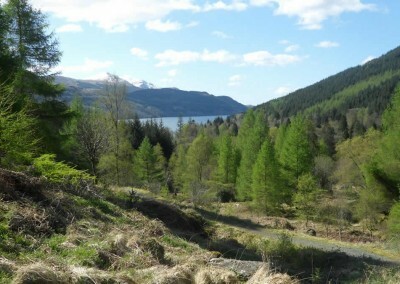 The Loch Lomond & Cowal Way follows the main road for a short distance before turning right onto a marked forest road just before the roadbridge over Loin Water. The route follows this track for 200m, before turning right onto a onto a path signposted for ‘Stronafyne Loop Walk.’ Follow this path uphill and take the left hand path at the first junction, ignoring the right-hand path that leads towards the train station. The route now continues along this path for some time, passing though a kissing gate, across a timber bridge, and then uphill to reach another kissing gate. From here the path winds steeply up a rocky outcrop with pylons overhead to reach a viewing point at the summit of the slope. Continue along the path which passes through a conifer forest before reaching a kissing gate leading onto a vehicle track. 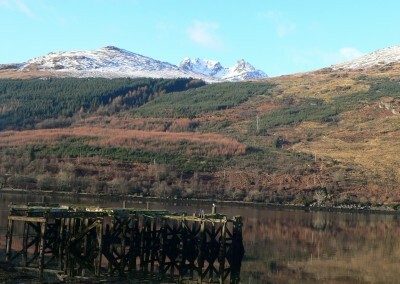 Turn right to cross the wooden bridge over Inveruglas Water, and then right again onto the tarmac Sloy road. 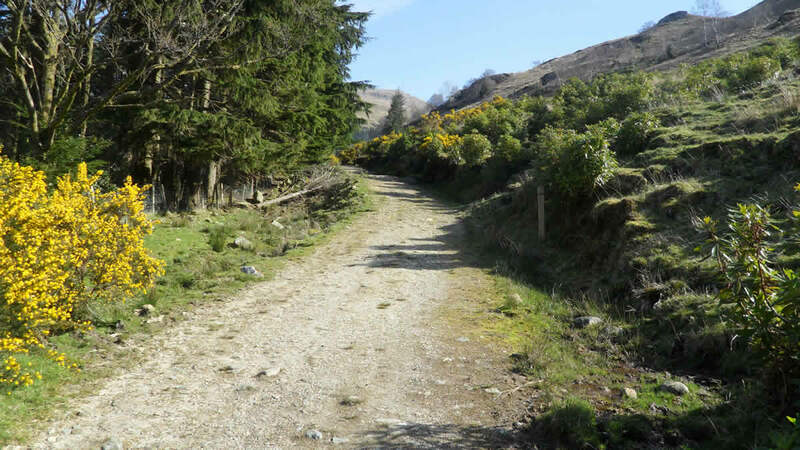 The Loch Lomond & Cowal Way follows this road down towards Loch Long, heading past the electricity station and under the railway line. At the junction with the busy A82 turn left and follow the roadside path for 1km. Just after Sloy Power Station, cross the road to reach the end point at Inveruglas Visitor Centre which has a café, toilets and picnic site. 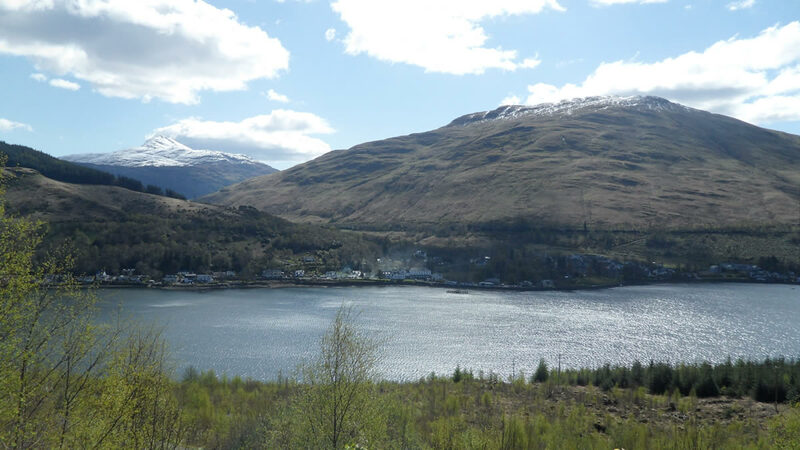 From here you can catch a Citylink bus either North or South, arrange for the Inversnaid Hotel ferry to take you across the Loch, or just celebrate your achievement at the wooden viewing tower with stunning views over Loch Lomond!